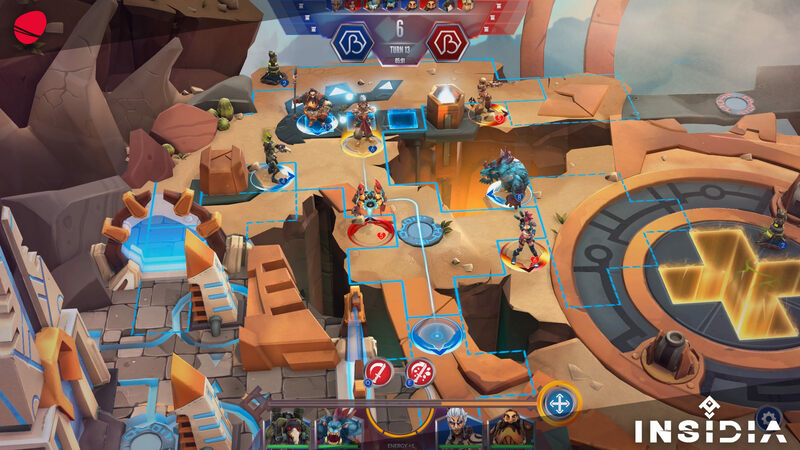 From indie developer, Bad Seed, comes the announcement of their post-apocalyptic, turn-based multiplayer game, INSIDIA, opening its doors for all to try out their exciting tactical PvP battler via Open Beta, starting sometime soon. No exact date, just “this summer“, so my guess would be around the middle of August. INSIDIA offers up a wide selection of 12 wacky champions to choose from. During its Early Access phase however, only 8 will be playable, which isn’t too shabby, all things considered. Check out the Press Release below for more details and enjoy! Milan, Italy – August 3rd 2017 – Independent developer Bad Seed today announced that their multiplayer post-apocalyptic turn-based game INSIDIA will launch Open Beta on Steam this summer. 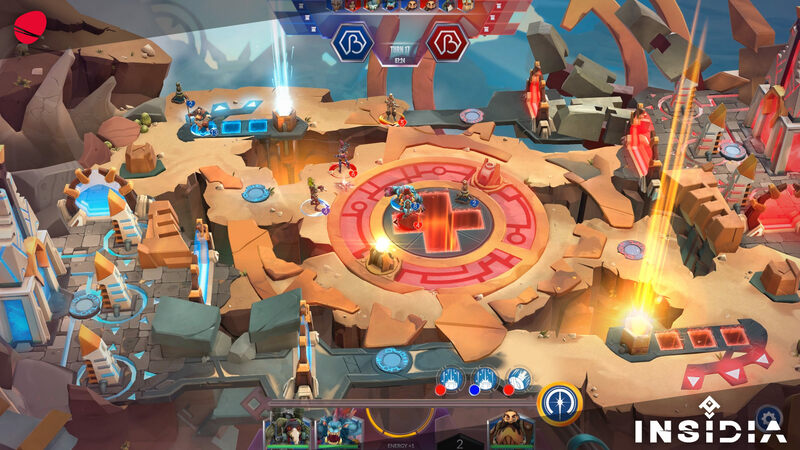 INSIDIA is a highly tactical game, where players control a band of four champions in hectic turn-based online PvP battles. Build your team from a colorful roster of wild characters, including fierce punks, mutated wizards and steampunk knights, each with their own unique set of abilities and skills, and then duel it out in thrilling 15-minute matches. “With an easy to learn, but hard to master learning curve, INSIDIA players must assemble a powerful team of champions and lead them to victory or defeat, in bite sized 15-minute battles”, said Jacopo Musso, CEO of Bad Seed. “We are excited to announce that INSIDIA will launch on Steam Early Access this summer, and we’ll be updating the game with regular patches and new champions as we move into a full commercial launch in late 2017”. INSIDIA puts to the test your strategy skills as you face off with your opponents in intense online PvP matches to dominate and counter their moves within the game map. Choose your team of four powerful champions and develop their skills in fights to secure critical objects. Once a base is vulnerable, a hero can sabotage it to achieve victory through a spectacular explosion and gain outright victory. Carefully thought-out moves and a well-chosen team with the right abilities is essential to become victorious. Different strategies must be brought into play in Tactical Mode, where opponents plan their strategies simultaneously in a timed match, and Resolution Mode, where they execute strategies one after another, reacting to the opponent’s moves. INSIDIA will ultimately provide players with 12 different champions to choose from and aims to launch with 36 different skins and multiple maps. 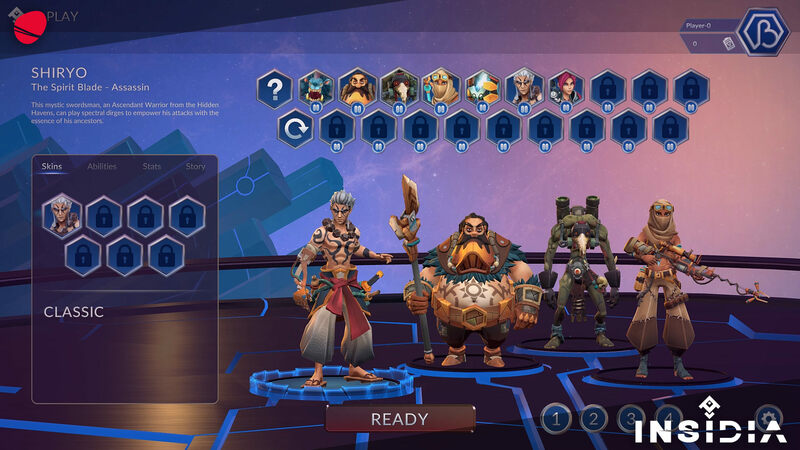 The Early Access launch will initially offer six champions with a further two to be unlocked during the first phase of release.